Keep an eye on your business - even when you’re away! at your door in 24 hours or same day! When it comes to the security of a home or commercial property, many people make it a point to install good quality locks on their doors and windows. However, most fail to realise that these solutions do not provide the high level of security required to keep their property safe, and this can prove to be a big mistake. We at CCTV Installation Melbourne cater to both promotional as well as residential customers. Over the years we have seen a number of instances where good quality CCTV surveillance system and custom alarm systems would have proved to be a deterrent to perpetrators and kept their property safe. If you feel that the security on your property needs to be improved, feel free to contact us with your requirements. We will provide customised solutions based on a detailed survey of your property. We use the latest and most advanced Alarms Systems in our installations and you will find that our services are extremely cost-effective too. An alarm system is a security device that has been specially-designed to sound alarms and alert your local law enforcement authorities in case of a break in. These devices are available in different forms and they are also used for different purposes. When you get an advanced alarm system installed on your property, it acts as a deterrent to criminals. This system requires a significant amount of effort and time to bypass, and not many criminals will be willing to take that risk. When you get a good alarm system, it gives you peace of mind because you know that your property has an additional layer of safety. In case of break-ins, the alarm will sound and alert the professionals that are monitoring the system. They will alert the authorities, regardless of whether you are present on your property. This significantly improves the security levels of your home or commercial establishment. If you are considering getting one of the latest alarm systems installed on your property, it is important to choose experienced and licensed operators for the job. 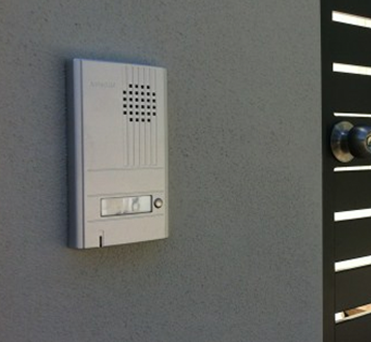 If you want to know more about these services Alarm System installation services, just get in touch with CCTV Installation Melbourne today . You can use our contact us form or call us on 03 8609 6092 and we’ll be happy to answer any questions you might have. Why Choose Us For Intercoms Control Systems Installation? What are the Benefits of Video Intercoms? CCTV Installations Melbourne offers a wide range of services and solutions to keep your property secure. Our range of services includes CCTV cameras, Alarm systems, Video intercoms etc.